WHO/Europe has mapped policies on nutrition, physical activity and obesity throughout the European Region in a new database. The purpose is to assist decision-makers and professionals who want to address the spiralling levels of noncommunicable disease. Noncommunicable diseases pose the greatest threat to health in the WHO European Region today. Physical inactivity and poor nutrition are contributing risk factors to many of these diseases, such as heart diseases and stroke, diabetes, cancer, and mental health disorders. 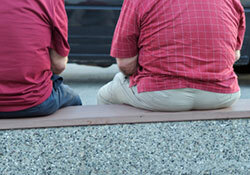 European Obesity Day is 21 May 2011. The WHO European database on nutrition, obesity and physical activity (NOPA) has been created in close collaboration with health ministries and with support from the European Commission. It includes details on more than 300 national and subnational policies in the WHO European Region that address nutrition, physical activity or obesity. Most of these policy documents have been developed in the past six years and refer to changing demographic and lifestyle trends such as the increasing consumption of industrially produced foods high in fat and sugar and declining physical activity. WHO/EU information focal points and the WHO nutrition counterparts have identified the measurable indicators for policy development and monitored their progress at the national level in accordance with the commitments made through the European Charter on Counteracting Obesity and the WHO European Action Plan for Food and Nutrition Policy 2007–2012. The data provide baseline evidence that the European Region is willing to take action to counteract the epidemic of obesity and is following up on action points of the Charter. Based on the policy documents in NOPA, for example, 28 Member States have stated that they plan to take action on physical activity in the school setting, 11 plan to address the adequate labelling of food products and only 9 plan to deal with appropriate food marketing practices. The involvement of multiple national institutions – notably health and agriculture ministries and the sports, environment, education and transport sectors – illustrates that developing policy requires complex interaction between varying and sometimes conflicting interests. the "White paper on a strategy for Europe on nutrition, overweight and obesity related health issues" by the European Commission. The NOPA database is one result of a joint project of WHO and the European Commission on monitoring progress in improving nutrition and physical activity and preventing obesity in the European Union. WHO/Europe hopes that the database will serve as a stimulus for policy-makers to identify gaps and needs in data collection and the development of policy and will show positive progress in their efforts to counteract obesity. Besides information on countries’ policy documents, the NOPA database will expand later in 2011 to include surveillance data covering the results of the WHO European Childhood Obesity Surveillance Initiative, information on policy implementation and examples of good practices in programmes and interventions on nutrition, diet, physical activity and preventing obesity.